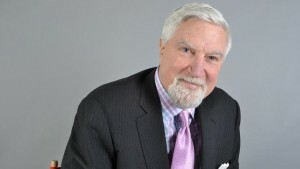 Tom McMillen, the former congressman and regent at the University of Maryland, is the new voice for athletic directors at the highest levels. Now he’s going to spend the next few weeks days figuring out what that means. McMillen was introduced in Dallas last week as the new president and CEO of the Division 1A Athletic Directors’ Association, the lesser known of the two trade groups that represent ADs. Tom McMillen, a former University System of Maryland regent, is the new CEO of CEO of the Division 1A Athletic Directors’ Association, the lesser-known of the two trade groups that represent ADs. After the announcement, he returned to his home in Washington, D.C., with no office, no staff and a blank slate for how to turn this association into a stronger advocacy group that will represent ADs across its 126 schools in 10 FBS conferences. The group’s headquarters will move from Dallas to D.C.
That voice might be directed at the NCAA, Congress or any other entity that might play a role in reshaping college athletics during what McMillen described as a tumultuous time, given the new autonomy structure within the NCAA and ongoing antitrust lawsuits. “Collectively, they can be a very important voice in the repositioning of college athletics,” McMillen said. McMillen, 63, has given himself 45 days to establish a strategic plan for the association. He’s going to use that time to talk to athletic directors and establish a deeper understanding of their needs from a trade group. The strategic plan will chart the course for the association’s future, and it might involve a name change from the cumbersome and sometimes confusing moniker the group has used since it was formed in 1986. McMillen has not decided if he’ll hire an outside firm to conduct a rebranding or handle it internally. He’ll also look to grow the association’s revenue streams, which essentially consist of dues and sponsorships.